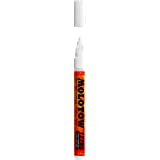 Amazon's Choice for "white paint pen fine point"
Molotow ONE4ALL Acrylic Paint Marker, 1mm (Extra Fine), Signal White is high-covering, premium acrylic-based pigment paint in an easy-to-handle marker that works on almost every surface, both indoors and outdoors. Use it on leather, ceramic, glass, stone, cement and more. The flowmaster pump marker system has patented capillary technology. This acrylic-based hybrid paint is UV and weather-resistant for highest opacity. It is solvent-free and dilutable with water or acetone. Tips are exchangeable and marker is refillable. 1 Each. Made in Germany. 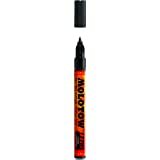 Molotow opens up endless creative possibilites for artists, writers and streetartists. I love the way this pen writes. Very smooth and very detailed, however, when I received the pen, it was not sealed. I just popped the cap off and started using it yesterday. I was able to complete lettering on only three rocks. It is empty today. Not looking for anything to be given to me free but just wanted someone to know, do not believe this pen was new. Had to be used. For the money I paid for one pen, I expected better quality. I will have to purchase another one to finish up my projects. 5.0 out of 5 starsA definite must have!! What took me over 3 hours to outline with a paintbrush, took 10 minutes to do with this pen. Just remember to shake it before you use it because if you don't it will come out watery with a smear of paint. very opaque. i used it to renew my boost soles on my adidas ultra boost. the boost started becoming brown and very dirty and would not wash out to new look. 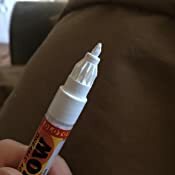 this marker solved my issue and renewed my boost. I LOVE this paint pen. I had been looking for something that was very opaque and gave me thin enough lines to work with. Everything I would find at my local art/craft supply store was either waaaay too thick and/or would dilute after time. Even if the product said it was opaque. A highly recommended product! I look forward to using this with my traditional art pieces!! 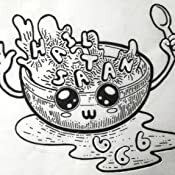 Maybe I got a bad pen. I've read so many reviews that this marker is the best and SEEN work that artists (particularly calligraphers) have done and it looks amazing. My pen worked on zero mediums (I tried paper, glass, and wood). Nothing was coming out, and then after more shaking it leaked all over the place. However, I also bought a gold pen from the same brand and that one works incredibly. I'm just bummed I spent almost 10 dollars on a dud. I like to do acrylic painting. 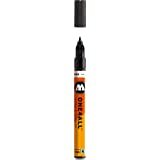 This product works well even if I use it over something dark that I have already painted. It is great for detail work. I will buy again. Absolutely awful. The marker was either dry and wouldn’t write, or completely runny and free flowing. Got paint all over my project. Wouldn’t recommend to anyone. I’m very disappointed.